Enterely produced with a roland 909, 606, voice and effects, this ep represents Mass_Prod sound full effect! After his successfull realeses on Fumakilla, Kontra Music and Ral with that magic edit of Paolo Conte’s Impermeabili, Mass_Prod aka Martino Marini, has probably become one of the most talked about young producers in Europe, representing for us the Big Hope of the italian dance scene. Mass_Prod is a real punk rocker that has a strong musical background including CCCP, Drexcya, Tom Waits and Moondog. With this exciting three tracker he introduces the original sound Manifesto of Bosconi Records! While the record on Fumakilla mooved into a more new wave techno style conservating the pop aspects of Mass_Prod sound and the Kontra Music one demonstrates his technical skills into composition, sampling and use of analogue instruments, with Bosconi Groove Mass_Prod delivers instead a proper head jamming gear that shows us his great lively mixing technique and his songwriting attitude. A1 gives the title to the EP and it’s a direct-fat-raw techno slammer, sinful, unsophisticated, dry, basic, punkish, a proper club banger, and you’re gonna be caught soon by its cool feeling. B1 moves into the song territories, it’s a typical diary way of Mass_Prod’s composing, common and usual events of life transposed in music: the voice is telling about the thoughts and music is describing the atmosfear of this dirty chicagoish moments of rustie clubbing. Like all the best eps there’s always an happy ending: on B2 “Don’t be Anger” is a positive hymn to relationship troubles (that we all know about!! ), funny home made vocals drives you to this boogie house track. 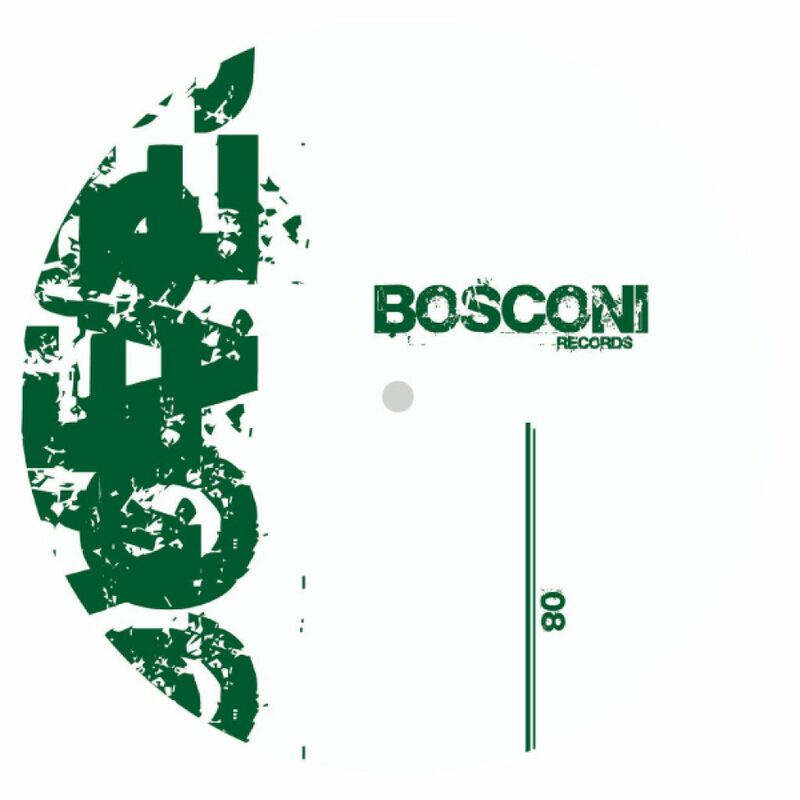 For us Bosconi Groove is already an anthem, it represents the top of our philosophy and it’s already rockin’ our parties. They will not please you for spin that sh*t man! !